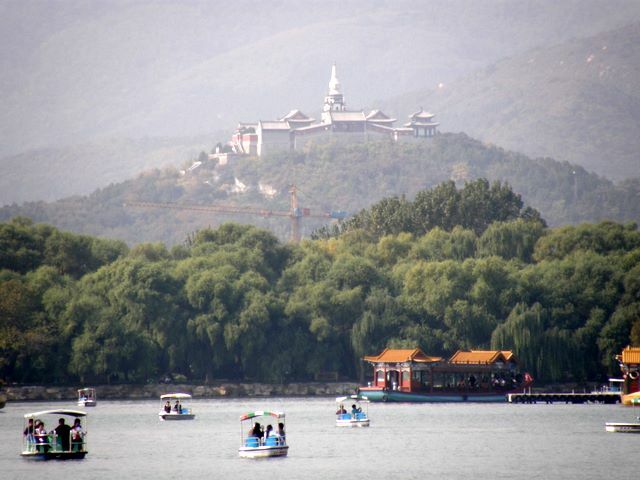 The Summer Palace is located on the western edge of Beijing, between the fourth and fifth ring roads, close to the western hills, 12km from central Beijing. It is not expensive to get there by taxi and does not take long. Use a map to tell the driver you want to be taken to the north gate if you would like to follow our suggested route through the park, or ask your hotel receptionist to add 'north gate' to 'Summer Palace' written in chinese script on a piece of paper to show the taxi driver. 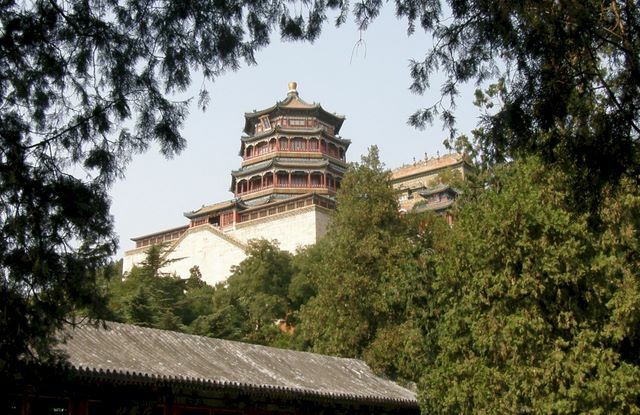 As its name implies, the Summer Palace was used as a summer residence by China's imperial rulers - as a retreat from the main imperial palace now known as the Palace Museum (or 'Forbidden City') - a pleasureground in the countryside, yet near to the city. The Summer Palace is virtually a museum of traditional Chinese gardening that uses rocks, plants, pavilions, ponds, cobble paths and other garden styles to create a poetic effect between different scenes. 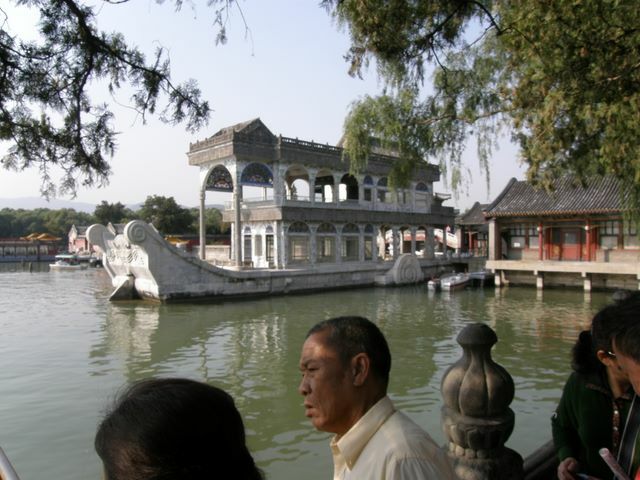 When you stroll around the Summer Palace, you will constantly find the area changing. 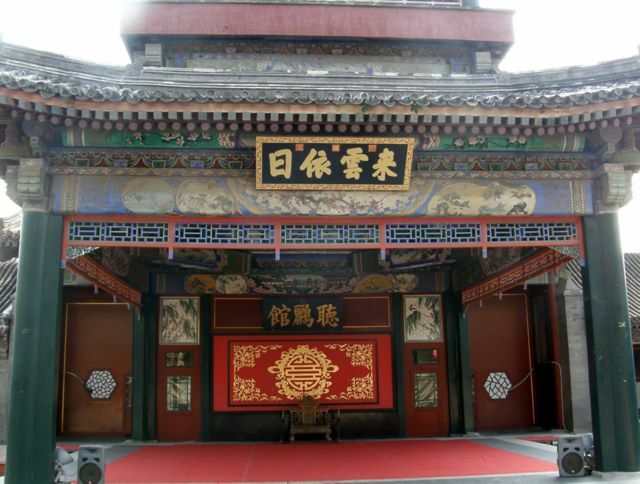 This Summer Palace guide looks at its history, presents a clear map with a suggested route through the palace grounds, and looks at each place of interest in detail. This guide contains 400 superb photographs that both illustrate each location, and hint at the beauty of the gardens as a whole.